Do you love coffee? I mean, DO YOU LOVE COFFEE? I’m totally hooked on coffee and have to drink a few cups a day. Growing up in Germany I think we were raised on coffee, they drink it like we drink water here, all day long. So it’s no secret that I naturally drink a lot, too. My favorite is Iced Coffee. It’s always hot here in Florida so cooling it off anytime of the year is great. My steady companion for some time now has been the International Delight Iced Coffee. They come in a few different flavors, are coffeehouse taste without coffeehouse sticker shock, they are ready to go whenever I’m, right in my fridge and are easily picked up at Walmart during my weekly shopping trips because they are in the refrigerated aisles right next to the teas and juices so I will never miss them. All year round! Be sure to check International Delight Iced Coffee out there. 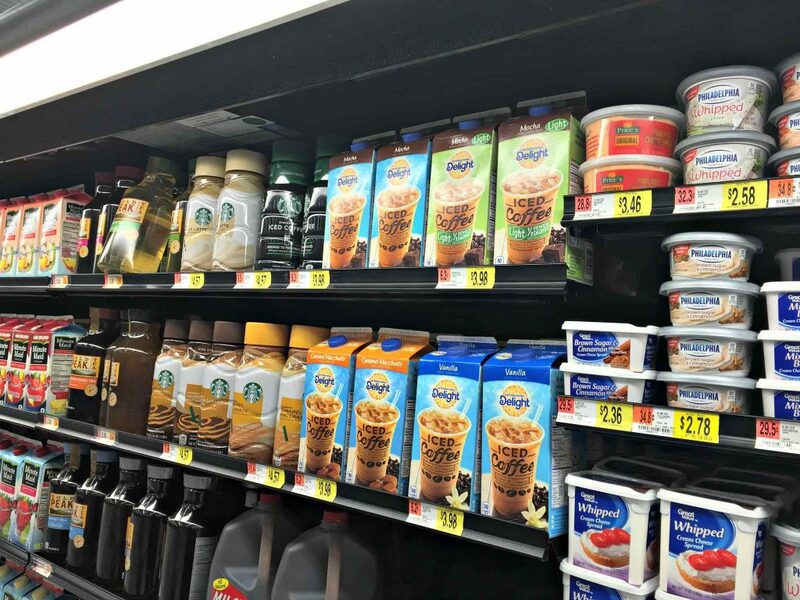 You will also love the price and the savings by switching to International Delight Iced Coffee from your favorite coffee shop, trust me on that it’s AMAZING! 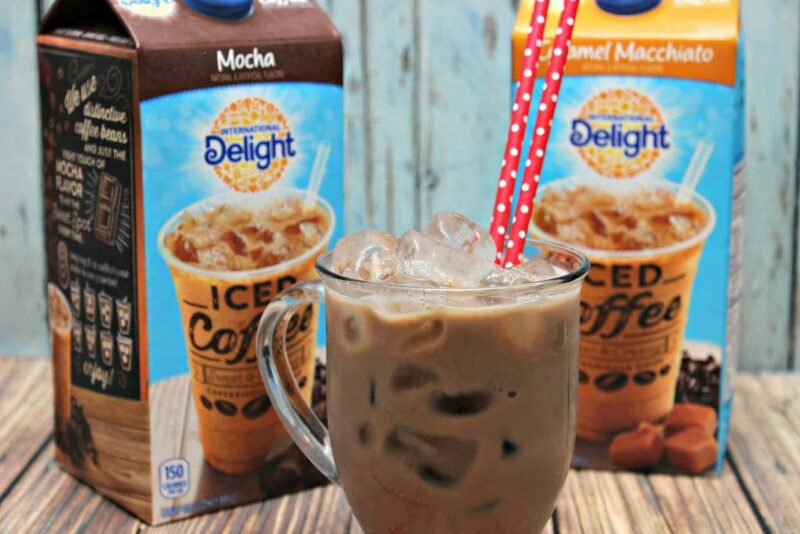 I’m totally in love with the International Delight Iced Coffee Mocha flavor, I grab a serving every morning on my way to work. I’m loving it! I’m saving so much money by not running into the coffee shops on the way. 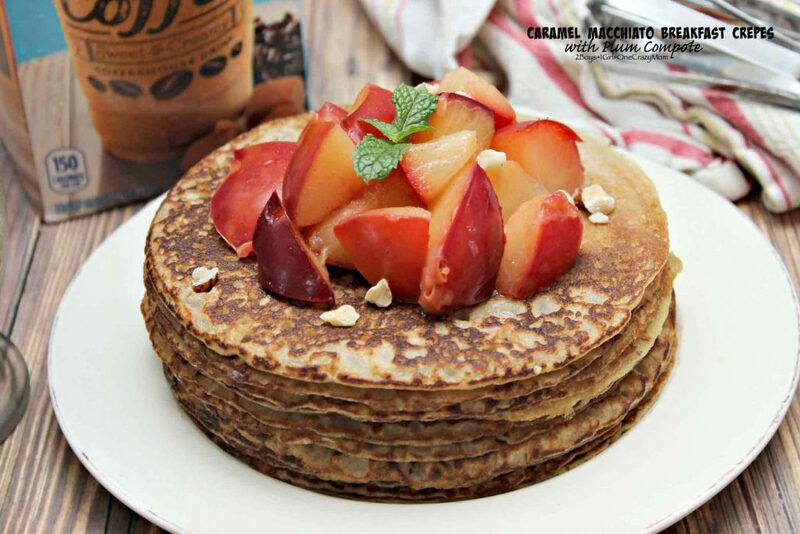 The other day my husband picked up an extra carton of International Delight Iced Coffee for me, the Caramel Macchiato and I knew it would be great to use it in our Sunday Breakfast, the flavor is amazing and it would enhance my crepes and flavor them in a simple way. 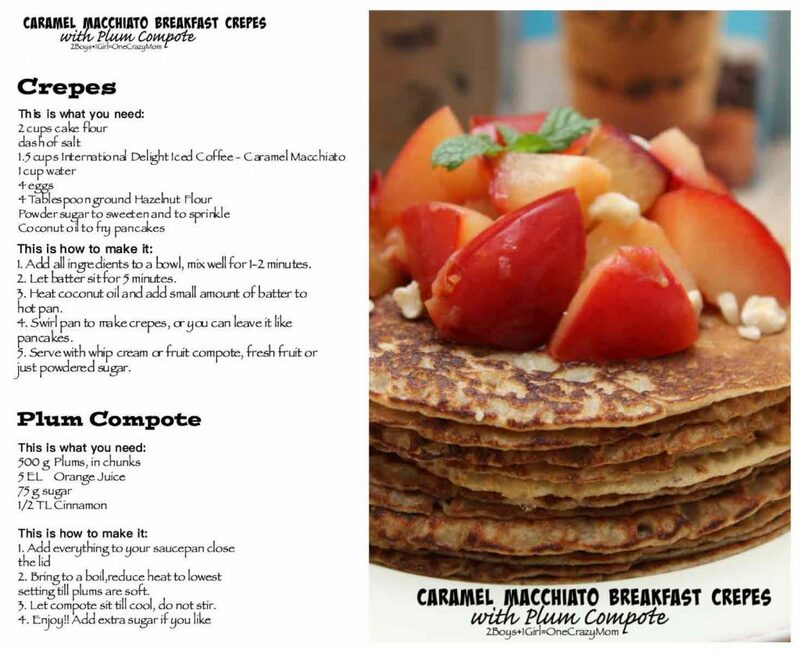 So once Sunday rolled around I grabbed my favorite Crepes recipe and substituted the milk for the International Delight Iced Coffee Caramel Macchiato, added some hazelnuts and fruit compote and breakfast was a hit. Check out my recipe below, you can make this amazing meal for your family, too. 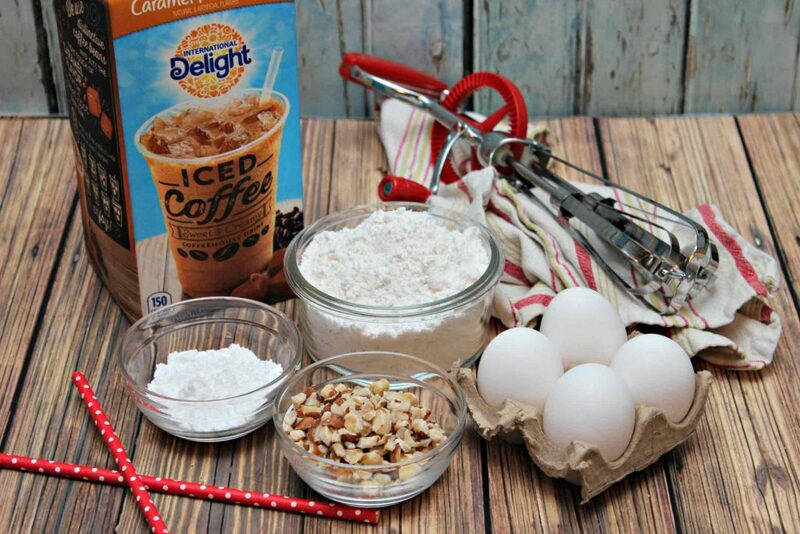 I can’t wait to use the International Delight Iced Coffee Mocha in my batter next time. Sunday’s are always special for us because everyone is home and we all have breakfast together, I always try to make a special meal for everyone to enjoy and this one sure hit the “IT” spot for the kids, the hubby and everyone else who stopped by and I made eat my breakfast creation. There you have my all-time favorite drink, easy to pour over ice anytime of the day and night but also easy to use in your favorite recipes by adding rich, creamy flavor. 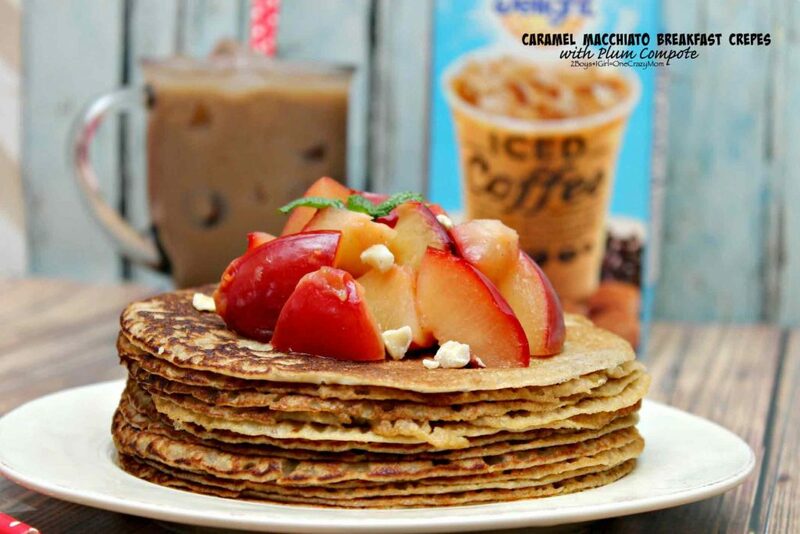 Give it a try and leave me a comment below on how you enjoyed my Crepes with the Caramel Macchiato International Delight Iced Coffee. P.s. No worries when the batter is very, very, very liquid. That’s how crepes are. 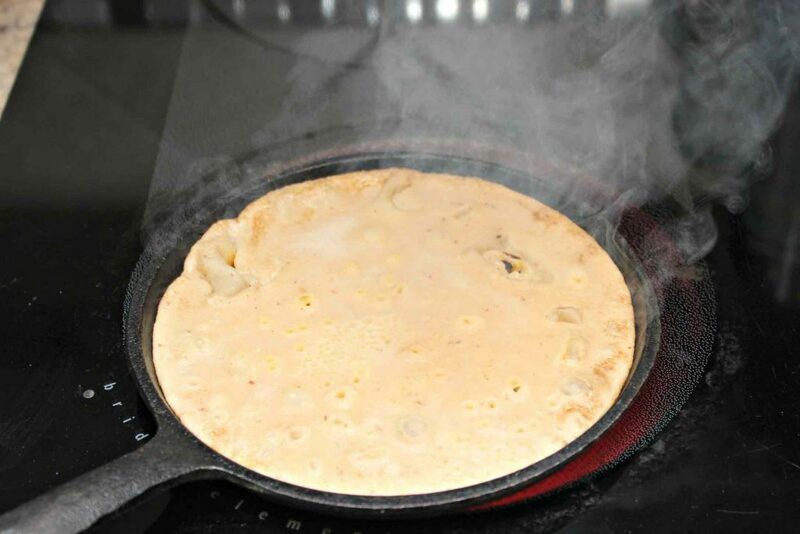 Just pour a spoon into a hot pan, swirl around and you will have your very own crepe in no time. 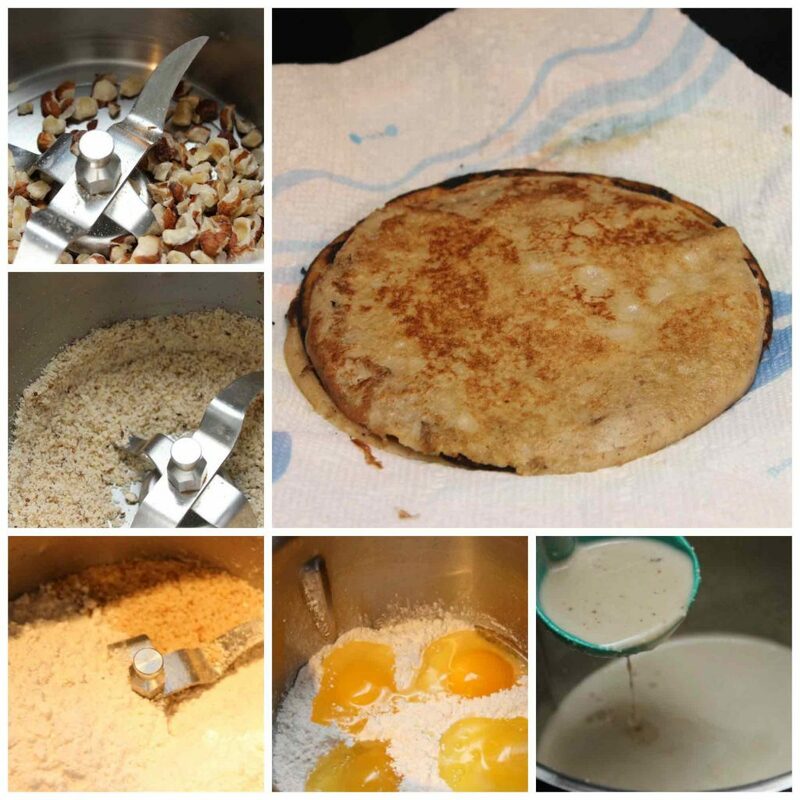 This recipe made about 10-12 small crepes enough for my family of 5. 1. Sights. 2. Food. 3. Shopping for Things to bring home gifts & for me. Any input ! I really am 50% German 50% Swedish! Never been to this area but to several others. Wine! Wonderful wines and Christmas decorations…blown glass (be sure they aren’t made in China, you awill love this cruise..beautiful sights and very nice people. Where do you find hazel nut flour? 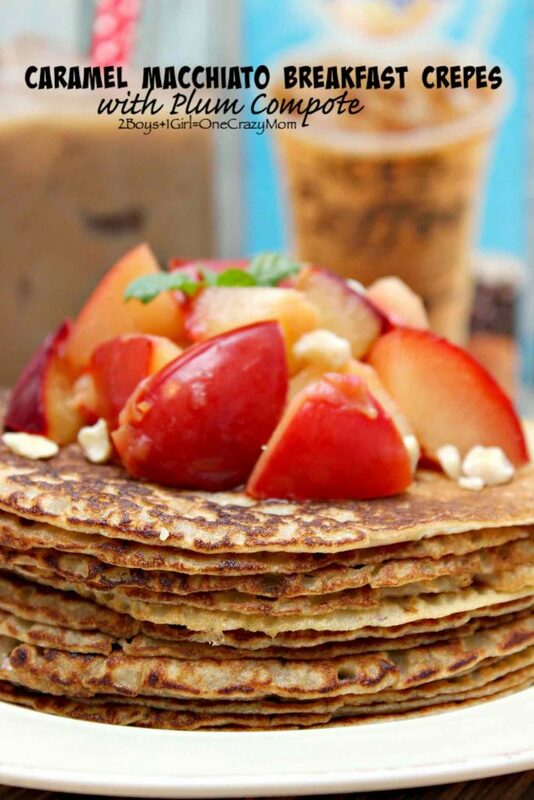 I love making crepes, but I have not made any in a long time and this recipe looks amazing! 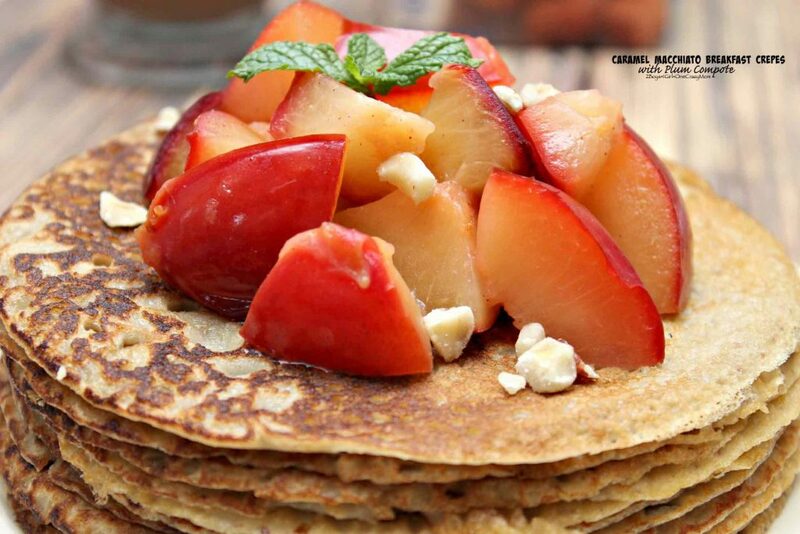 I want to make these for breakfast this weekend. My kids would love these! Oh wow, Caramel Macchiato is one of my favorite flavors! 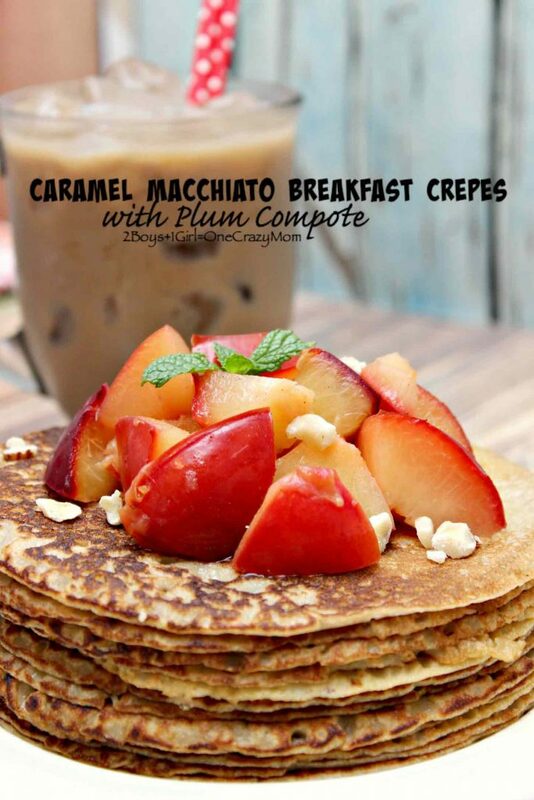 These would be amazing to make for my hubby! Yum!